I’m a huge fan of the Ruby Red trilogy by Kerstin Gier—I tore through the entire trilogy last year while I was on a cruise. I pretty much love any good time travel story, and Ruby Red had such a unique spin on time travel that it sucked me in from the first page. 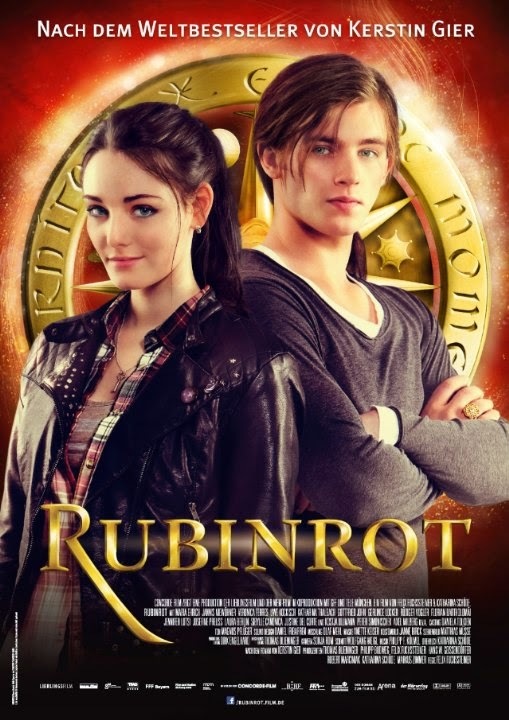 So I was very excited to recently find out through BookTuber Sasha Alsberg that Ruby Red was made into a movie in Germany, and that there’s a dubbed version in English! The movie was made last year, and I can’t believe I didn’t know about it until now. The moment I learned about, all I could think about was how I had to see the movie, so I gave in and watched it last night. The movie was FANTASTIC! I read the books a year ago, so I don’t remember every detail, but the movie seemed to do a great job sticking to the plot of the books. The casting was perfect, and the scenes when they traveled back in time were so beautiful that they made me tear up, because I wish I could travel back in time, too. What’s your favorite movie adaption of a YA book? Are there any movie adaptions you love that you wish more people knew about?